I’ve written about my obsession with collecting and using points and miles numerous times on this blog. Our family has been able to earn points from credit card signup bonuses and spend and then turn them into great travel experiences at places that we would never have been able to afford if we had to pay. While we tend to use our points on travel, sometimes special experiences and offers come around that can only be obtained with points. 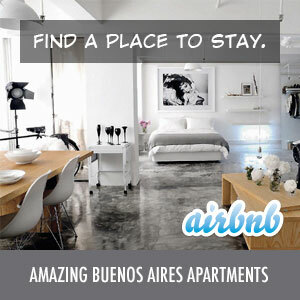 Unfortunately most of these deals are US-only, but we finally got one in Buenos Aires that sounds amazing! So, how do you get tickets? First, you’ll need 5,000 Starpoints (Starwood Hotels points currency). If you do not have those, you can always buy 5,000 Starpoints for U$S 175, though it’s always cheaper to have the points already. Next, head over to the SPG Hear The Music site and buy your package – admission for two to the pre-show cocktail party as well as two tickets to the show. If you’re a huge Capital Cities fan, then you can also bid on five packages to meet the band. The bidding starts at 5,000 Starpoints and as of now, only one package has bids on it. Unfortunately we just used most of our Starpoints on AA airfare and a stay at The Liberty Hotel in Boston. These were both great uses of Starpoints, especially since The Liberty was $457/night! If we can build our balance back up before they sell out, we’ll see you there!